MADE FOR SPORTS COACHING? ASPIRE TO BE A COACH OR ALREADY A PROFESSIONAL COACH? Join us on Saturday, March 30th (9am to 1pm) at LSC Head Office, Manchester for our COACHING DISCOVERY DAY. The LSC Discovery Days are for aspiring or experienced coaches or those who are interested in an apprenticeship in sports coaching. 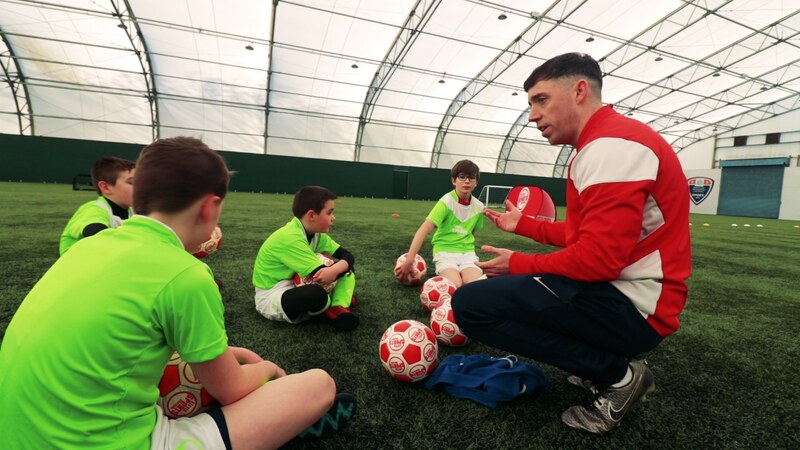 Take part in: practicals to help you learn how to develop games and manage behaviour in groups; informal interviews ; and discussions from experienced UEFA & FA sports coaches. If you are already an experienced coach, you can show us how you lead groups too. You don’t need to have any background or experience in sport, just a keen interest in sports coaching. We look for candidates with a passion for delivering with energy and professionalism at all times. In return we offer unrivaled training and rewards packages that allow team members to share in our success. Exciting opportunities have arisen for Trainee Sports Coaches and Qualified Coaches in Manchester. If you think you’re made for coaching, LSC can provide you with the qualifications and skills you need to get your career in sport started by becoming a Trainee Sports Coach. With our know-how and your commitment, you will be given essential training and obtain the certificates required to work alongside professional LSC staff. Also, you’ll gain valuable practical experience by assisting in the delivery of high quality PE and sports coaching in Greater Manchester primary schools and in the delivery of sports-based holiday courses. Join us on March 30th at Cheadle Town FC for our Coaching Discovery Day and take part in the LSC sports coaching career development day, with practicals, informal interviews and discussions from experienced UEFA sports coaches. Our team will shown you how to design games and sessions and learn how to control behaviour. You don’t need to have any background or experience in sport, just a keen interest in sports coaching. If you are already a qualified coach come on the LSC Discovery Day and you’ll be given the chance to show our team what you can do. Working split shifts across the week, assisting with the delivery of lunchtime and after-school sessions. This is an ideal opportunity for someone with a passion for sport looking for a career in coaching.